One of the biggest and most often asked questions I receive is “how do we get the look we want and be conscience of our budget”. So I thought I would give some tips on the areas where you can cut costs but still get quality and a great look. 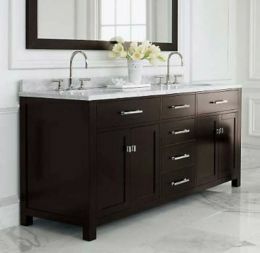 The first area whether you are building a new home or remodeling is to go with a high quality premade bathroom vanity. These are fantastic for guest or powder baths. There are a ton of them out there and they definitely range in price and quality. If you are looking to replace the look of custom cabinetry with granite counter tops it can be done with the right premade vanity. The things you want to look for are solid marble or granite tops. I always want to make sure that the description includes either Carrera marble or the name of the granite that is being used. What you don’t want to see in the description are the terms cultured marble, stone effects, mosaic stone. All of these mean that they are a manufactured material that they are trying to sell as a stone. You also want to make sure that they are made from solid wood and have a multi step finishing process. Stay away from veneers especially paper veneers in the bathroom. The constant heat and steam can damage these cabinets. 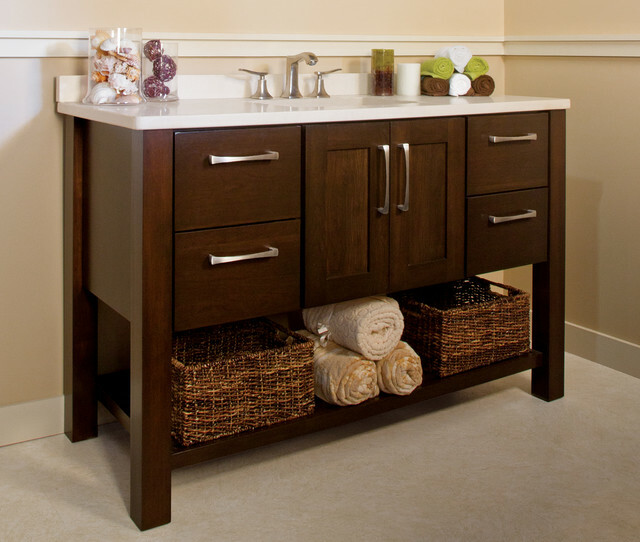 These vanities can include your sink and other elements also saving you a great deal of money. 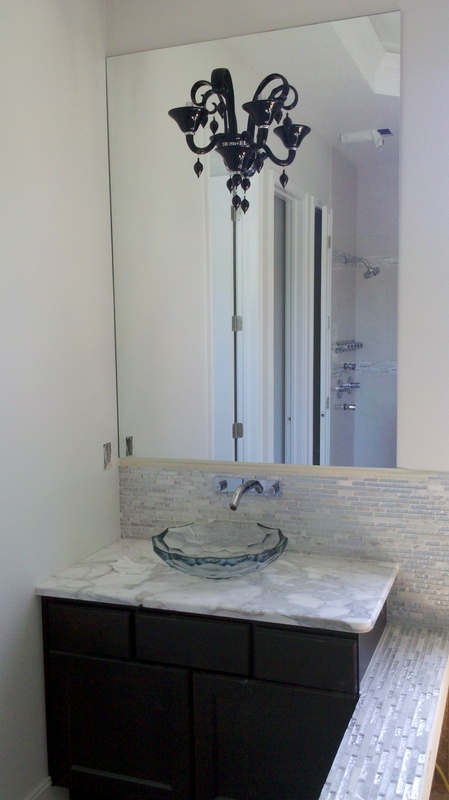 Look for the ones that include sinks and mirrors over the ones that include the faucets. These faucets are usually very low quality and will need to be replaced almost immediately. Another area to save money but not lose the look it to find great accents in glass tiles. You can use small amounts by cutting them and making medallions out of them or in a decorative listello. 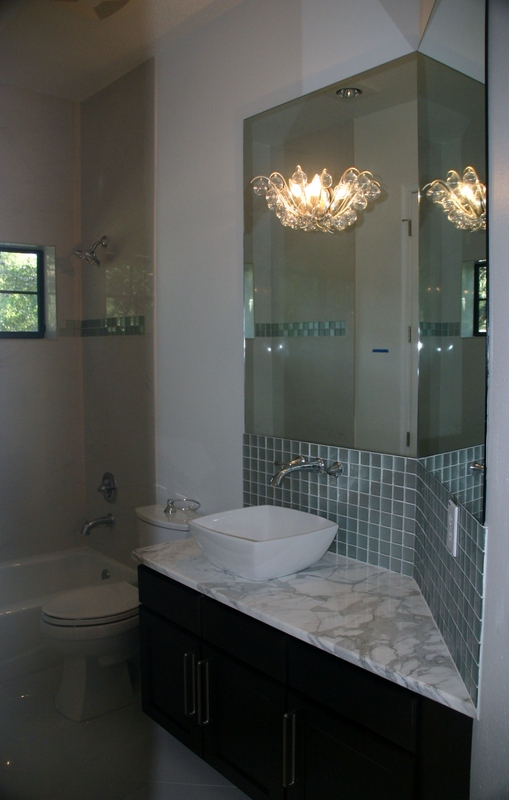 You don’t need to do the entire shower in the glass tiles to give a high end custom look. 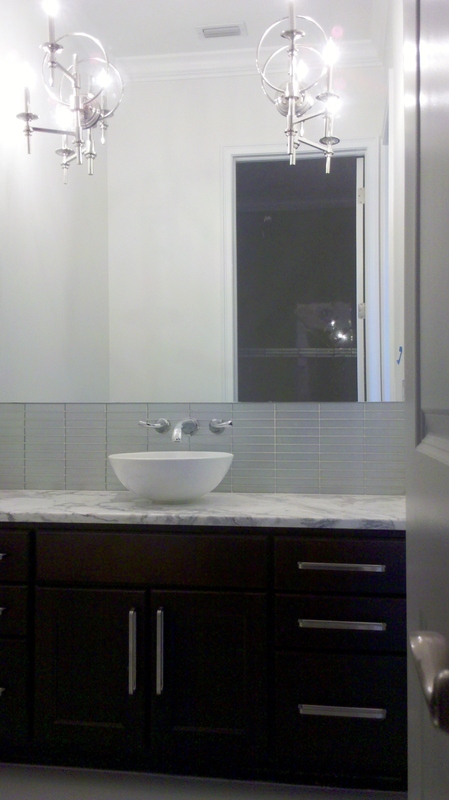 By using the decorative tile sparingly you get a huge wow effect from a small investment. 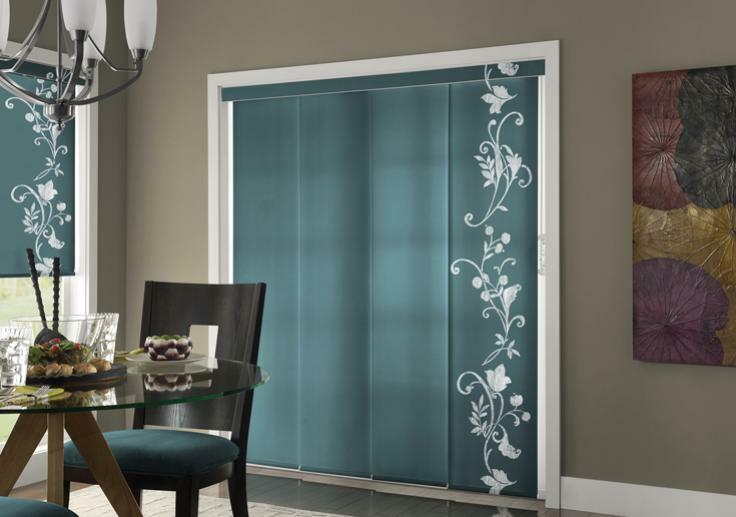 Another great place to save money is to use window treatments that are functional and decorative. 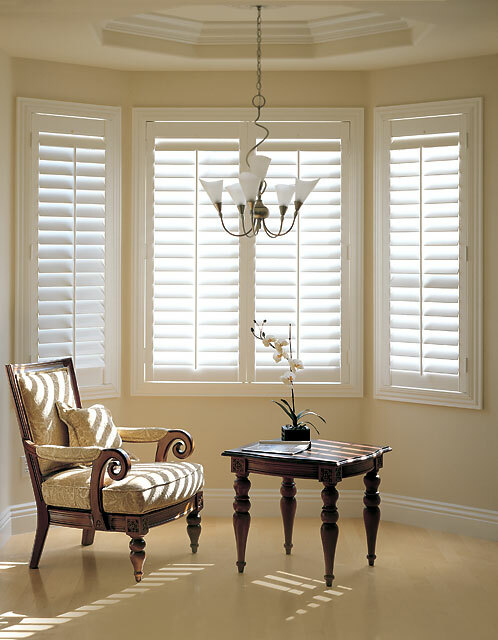 This can be treatments like shutters, roman shade and panel tracks. These treatments look great on their own and do not need cornices and draperies added to them to look finished. You may pay a little more for them per piece in compared to blinds but you are saving by not having to had a second treatments on top. 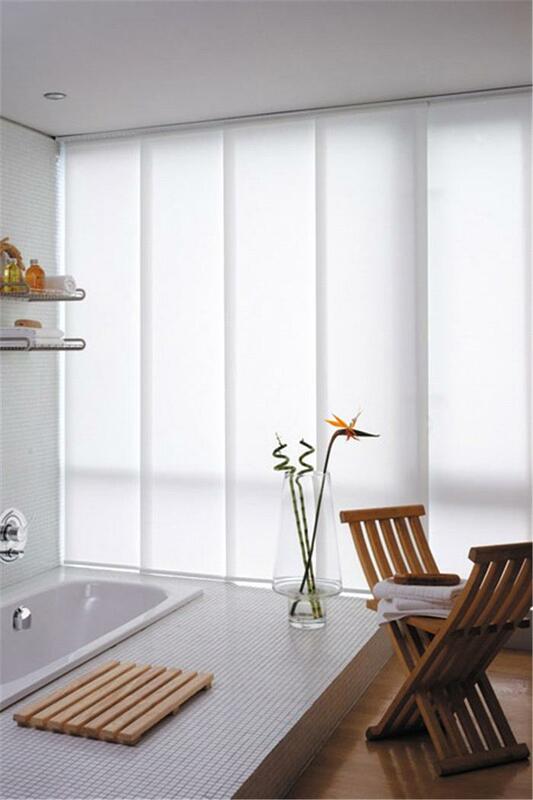 A contemporary panel track that can be done in a solar screen to keep out UVA/UVB rays. 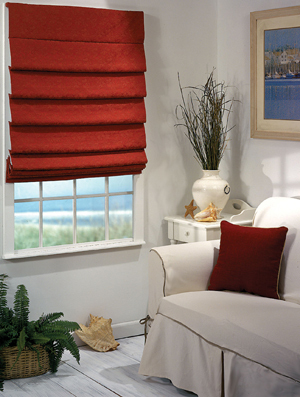 The classic and timeless roman shade. So with these three tips you can get a great look while watching your budget. If you have other areas that you want to know how to get the most for your budget comment in this post so we can write a post about it.